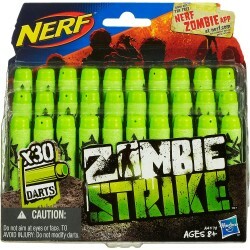 A fast draw is all that's between you and rampaging zombies! Practice quick-drawing your Sidestrike blaster from its holster before your next mission. You can keep your 4 Zombie Strike Darts in the holster's storage compartment, and attach your holster to your belt with the belt clip so you're completely mobile. 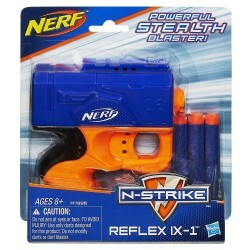 The holster also fits your Firestrike blaster (sold separately). Go for the fast strike and take out every last zombie with the Sidestrike blaster! 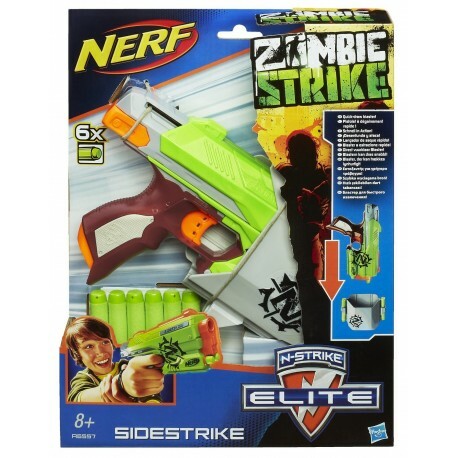 Blaster comes with holster and 4 Zombie Strike Darts.